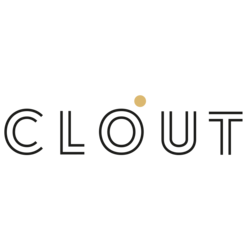 CLOUT Studio is a UI/UX design and development studio that creates websites and digital products. We believe in the power of meaningfully designed delightful experiences to make customers of our clients happy. Why? Because happy people come back, buy more, and tell their friends. This is a fantastic opportunity to earn great commissions on deals typically ranging between $10k - $25k! Our team is quite an international mix with main operation office in Saigon (Ho Chi Minh City), Vietnam, where development services are 40% of the cost of the same resources in the US. With clients ranging from Fortune 1000s like Forbes, Citibank, AIA Insurance, Penguin Publishing to SMEs and funded startups, our client base consists of business of all sizes and our services are in demand across many, if not all industries. If you know any decision makers within a business that may require services such as we provide, then this is the perfect opportunity for you! Happy, very social, professional, ethical, organized, persistent, experienced, and highly connected people who are looking for long-term business relationship. - Based in the territory s/he wants to represent in: as most deals are closed after face-to-face meetings. - Experienced with dealing with decision makers such as directors, CEOs, marketing managers, and business development managers. - Comfortable giving presentations, as s/he will be demoing/showing various projects we have worked on. - Preferably knowledgable in UX | UI and development solutions. However, if the sales professional does not understand something, we are more than happy to answer any questions to help. - In possession of B2C and B2B sector contacts. - SMEs that may be looking for modern websites or web/mobile applications. - Startup world, particularly with startups who have recently acquired funding (below $1 million in either seed or Series A) and are willing to invest in their product. Or startups with roughly $300,000 annual revenue. - We are also open to those with experience in business development to senior marketing executives and the C-suite.